It’s officially October and you all know what that means right?! It’s time to start our countdowns for one of everyone’s favorite holidays… Halloween! Are you dressing spooky or silly? Are you trick-or-treating as one of your favorite TV or movie characters? Are you dressing up from a different decade? 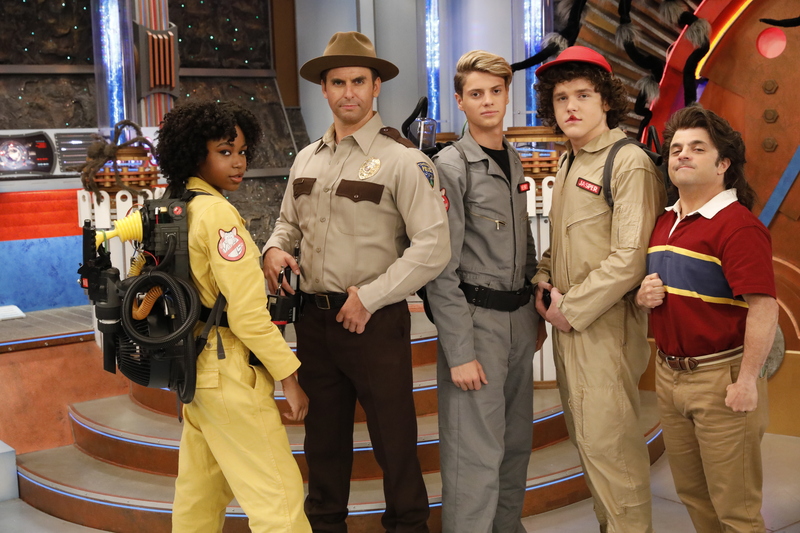 The options are limitless when it comes to fun costumes for Halloween! Well, it looks like the number one network for kids, Nickelodeon, is getting us all extra excited for Halloween as the network has an extraordinary lineup of all-new episodes and Halloween-themed premieres all month-long. Starting on October 8th, fans will be able to enjoy brand new episodes from highly-acclaimed shows including Henry Danger, Double Dare, Knight Squad, PAW Patrol, Rise of the Teenage Mutant Ninja Turtles, Spongebob Squarepants, The Loud House and more. In addition, Nickelodeon’s brand new, mystery series, The Bureau of Magical Things will also premiere on October 8th at 8:30 PM ET / PT. Everyone will definitely be able to get in the Halloween spirit with all of the brilliant content Nickelodeon will be airing all month long. Fans can even head on over to Nick.com, NickJr.com, the Nick app and the Nick Jr. app for more Halloween excitement including short-form content, games, quizzes and the chance to watch Halloween-themed episodes. Prepare for a whole lot of Halloween fun and don’t forget to tune in to all of the spook-tacular content Nickelodeon has in store for everyone to enjoy! Check out the full list of Halloween-themed premieres on Nickelodeon below and comment below and tell me or tweet me at @alexisjoyvipacc, what will YOU be dressing up as this year for Halloween? “Pups Save the Trick-or-Treaters”- It’s Halloween in Adventure Bay, and a mysterious kid in a giant spider costume is taking all the treats from the trick-or-treaters. / “Pups Save an Out of Control Mini Patrol”- Alex and his Mini‐Patrol accidentally take off on Daring Danny’s rocket bike. “Pups and the Werepuppy!”- When Rocky goes missing at Uncle Otis’ cabin in the woods, the PAW Patrol need to solve the mystery of the Werepuppy. / “Pups Save a Sleepwalking Mayor”- On Cowboy Day at the Wingnuts Dude Ranch, Mayor Goodway tries to brave the hazards of the ranch while sleepwalking. April and the brothers make Raph face his greatest fear…an adorable kids’ TV show bunny. “Halloween Costume Party”- The animals are ready to show off their amazing Halloween costumes. / “Pre-school of Fish”- Swim on up for all your favorite preschool activities, like snack time and music time… all underwater. “Costume Chaos”- When costumes get magically stuck on Shimmer, Shine and Leah, they must track down a special feather to undo the magic. / “Potion School”- Zeta impersonates the girls’ potions teacher and tricks them into helping her brew a sneaky potion. Previous Article: Renowned TV Personality Ross Matthews Presents An Exciting “Dragtastic Bubbly Brunch” At The Rockwell Table & Stage – Join In On The Fun Every Saturday!